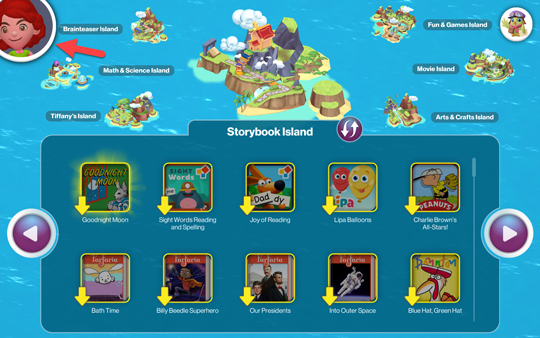 From the 'Kids World' Home screen, tap the Kid avatar (located in the upper-left). If PIN is forgotten or you would like to change it, refer to Change or Retrieve Parent PIN. Tap Account Management (located on the left). 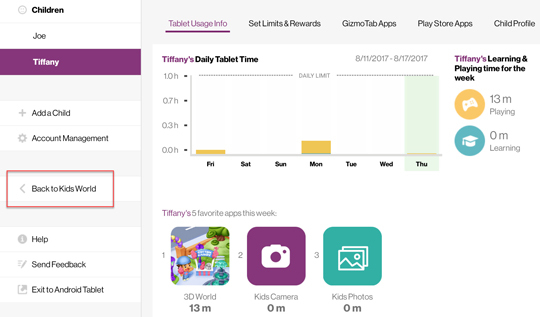 Tap Back to Kids World to return to the Home screen. 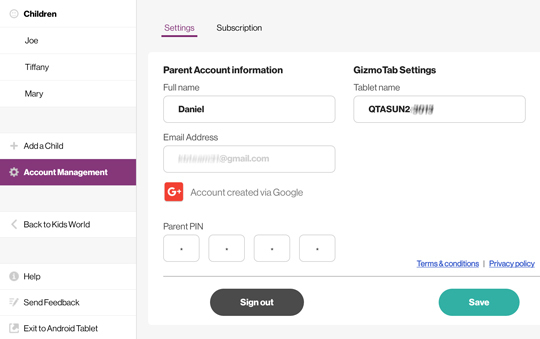 You can also tap Exit to Android Tablet to leave child-focused app and use as a standard tablet.